Relying on the knowledge and skills that only a half-century of combined industry experience can provide, our team at Neo Construction Partners has become one of the most respected and sought-after remodeling crews in the region. 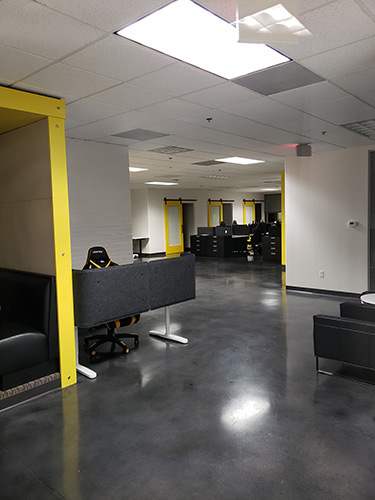 We’ve placed a special emphasis on our ability to assist commercial property owners and managers with interior upgrades and renovations, specializing in tenant build-outs and office remodels. Driven by integrity, we start every project with the intent of delivering incredible results, on time and within budget. We understand the challenges of commercial renovation projects and are exceptionally equipped to handle special circumstances, keeping issues to a minimum and streamlining the process. Using our extensive experience, proven construction materials, and innovative and eco-friendly building techniques, we are able to exceed your expectations while upholding our industry-leading standards. Because we limit our menu of services, choosing to specialize in commercial remodeling projects, we are able to better understand the needs of both the tenant and the building owner. Our system allows us to effectively negotiate the terms of the project, and understand and honor the objectives and goals of all parties involved. From basic interior painting projects to full-scale commercial office remodels, we fill the void between affordable and extraordinary. Our company prides itself on our ability to accurately and fairly bid our projects from the onset, mitigating the potential for change orders throughout the building process. Our end goal is to work closely with our clients to communicate a fair and accurate bid by anticipating their needs and what it will take to complete the project. Furthermore, we are always looking for ways to bring the project under budget, so we can then return those savings back to our clients. Our fair and accurate business model has been the key to our growth and success over the years, as many of our active clients have worked with us before. We look forward to earning your business. Your complete and total satisfaction is our one true mission at Neo Construction Partners, guiding us to always earn your trust through every step of the construction process. Find out just how far our dedication to excellence actually goes by scheduling a project analysis and estimate now. We look forward to acting as your trusted partner in construction.